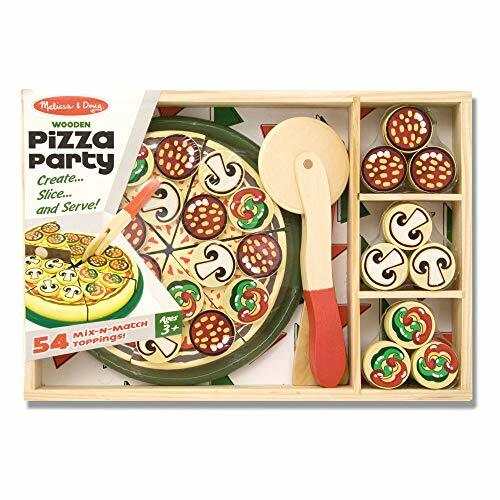 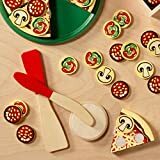 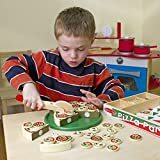 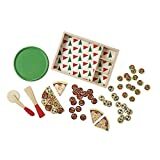 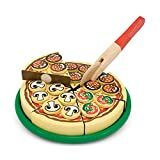 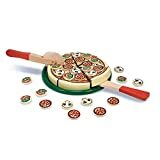 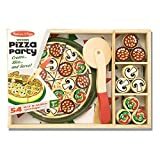 PRETEND PLAY PIZZA SET: The Melissa & Doug Pizza Party Wooden Play Food includes six sliceable wooden pizza slices and more than 54 toppings for pretend play fun. 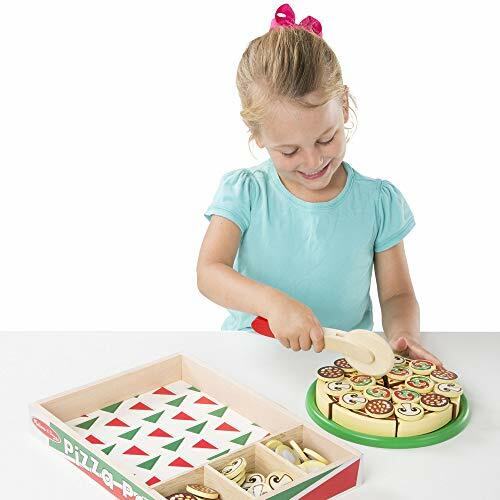 SELF-STICK TABS: Our pizza kitchen toy set comes with a brightly coloured tray, a pizza cutter, a spatula, and a wooden box for storage, and the pizza makes "slicing" noises when cut. 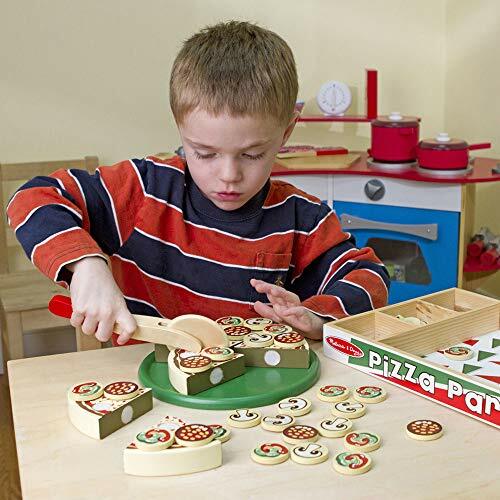 The self-stick tabs hold the pieces together. 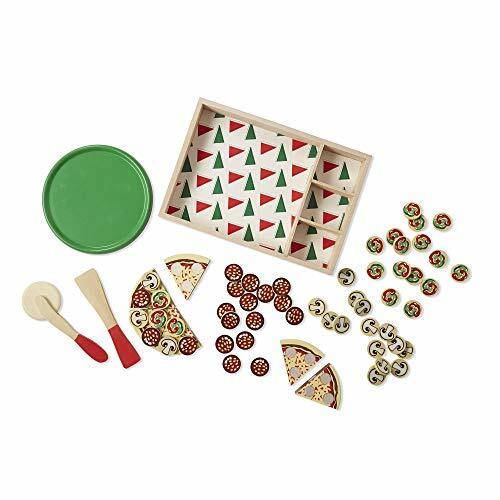 CONVENIENT STORAGE BOX: This Melissa & Doug pizza set fits neatly in a convenient and durable wooden box. 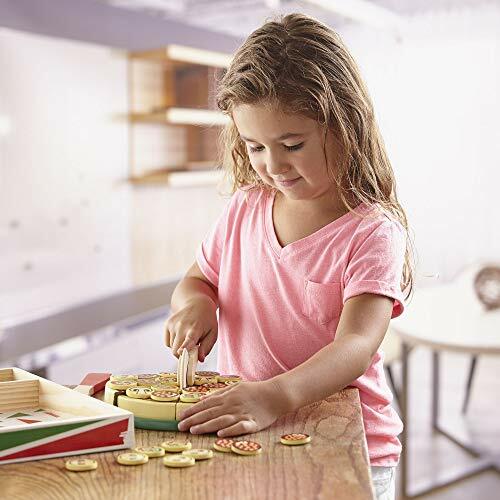 The set also comes with extension activities to inspire additional learning and play. GIFT FOR KIDS AGES 3 TO 5: This pizza set is an exceptional gift for kids ages 3 to 5 years. 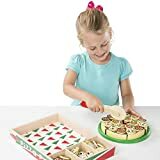 Add the Melissa & Doug Slice and Bake Cookie Set to round out the pretend play experience and give kids an engaging option for screen-free fun. 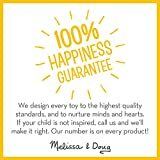 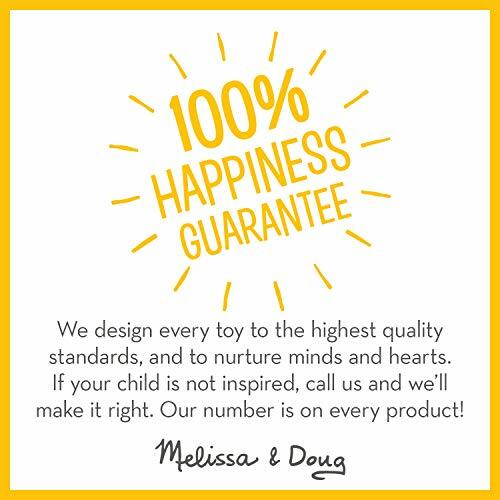 "THE GOLD STANDARD IN CHILDHOOD PLAY": For more than 30 years, Melissa & Doug has created beautifully designed imagination- and creativity-sparking products that NBC News in the US called "the gold standard in early childhood play." 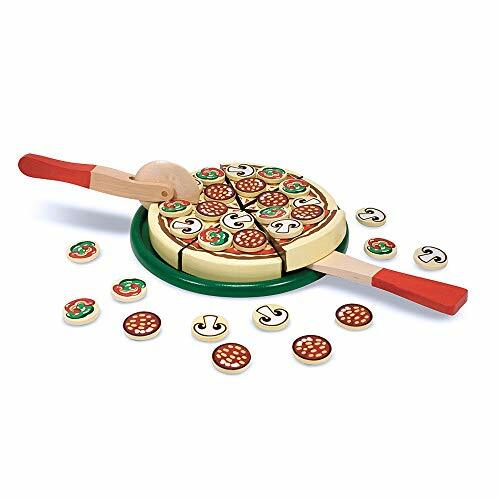 Young pizza chefs will shout "Mamma mia!" when they see the 54 toppings that come with this wooden pizza set. Then they'll get busy topping, cutting and serving up six custom slices for their happy customers. 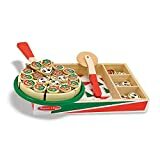 The set comes with a brightly coloured tray, pizza cutter, spatula and a wooden box for storage, and the pizza makes "slicing" noises when cut!